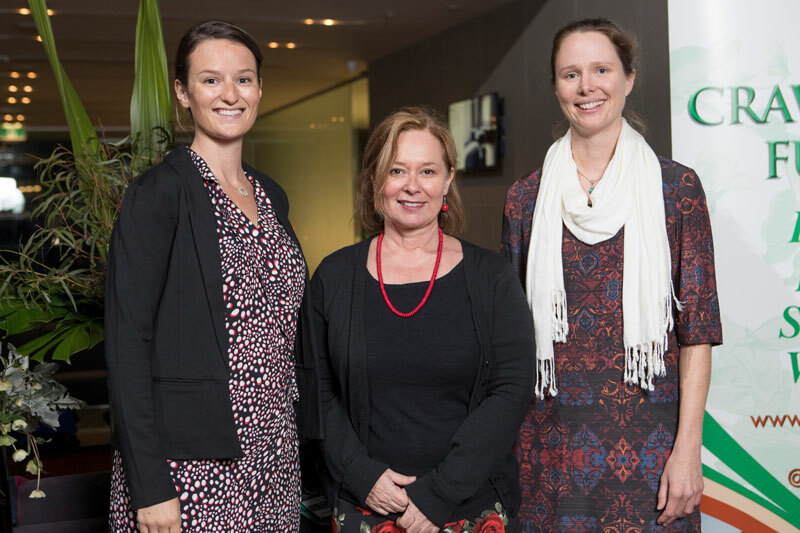 Two NT scholars were sponsored by the NT Crawford Fund Committee to attend the 2017 Crawford Fund conference this year in Canberra. Scholarships are offered to young Australians with a genuine interest in international agricultural development to attend the conference. I had a unique perspective going into the Crawford Fund Parliamentary Conference held in Canberra from the 7th to the 9th of August. Having not yet participated in international agricultural research in any capacity, I was keen to learn the ins and outs, opportunities and challenges and meet the leaders in this field. At its conclusion, I can confidently say I have a gained wealth of new knowledge about working, volunteering and studying in international agricultural research, and a newly formed passion for the goals and possibilities available in this area. Beginning my conference experience by meeting the scholars sharing my unit the day before official events commenced, set up for a comfortable and collaborative conference experience. Already I am immersed in a group of people with common interests and varied professional and student experiences, and have begun building a network of highly rewarding and valuable relationships. Arriving at the first scholar day to share lunch with the extended scholar group expanded on these first experiences. The scholars, mentors and coordinators can be described as a vastly diverse group of intelligent, creative and inspiring people who are excited to share and collaborate with others. To begin proceedings, Dr Lindiwe Majele Sibanda shared the development of her career and personal life in a stimulating opening to the conference proceedings, leaving the room provoked to thought and eager for the remainder of the day’s events. This was followed by a personal and practical address from Professor Andrew Campbell, CEO of the Australian Centre for International Agricultural Research (ACIAR). Professor Campbell introduced key topics that would be followed up throughout the rest of the conference, with valuable career advice. Age diversity in agriculture was touched on repeatedly, with the importance of bridging gaps in age to facilitate the most effective collaboration in agricultural research. Next Dr Kylie Ireland and Dr Pham Thi Sen introduced their work in Laos and Vietnam providing exposure to the challenges and rewards of volunteering or working in agricultural research from within developing countries. The essentiality of social research became a continuing theme in the success of international agricultural research. Next Richard Dickmann from Bayer and Jessica Ramsden from Elanco Animal Health introduced the world of private and commercial international agricultural investment, and the training and work opportunities that they offer. Monday finished with a discussion on the value of mentors, networks and the conference experience from Professor Lester Burgess and Professor Deirdre Lemerle from the Crawford Fund. Overall, it was an invaluable introduction to the scholar club, The Crawford Fund, private and public organisations, opportunities in international agriculture and the Crawford Parliamentary Conference, from a star studded line up. I woke with excitement on Tuesday, for it was not only the day of official conference events in which delegates were attending, but also my first trip to Parliament House. On arrival we were immediately immersed in the formality of parliamentary procedure and the crowd of delegates attending the conference. Hundreds more friendly faces joined the conversation and filled tea breaks with introduction after introduction from a diverse range of fascinating jobs, interests, backgrounds and projects. The day’s schedule covered many aspects of International Agricultural Research, most new to me, and most presented by a global leader in their field with experience and passion. Free access to global pools of data was a topic that I had not considered before this event, but it sparked my imagination as to the social, environmental and commercial prospects that worldwide data access could provide. Other key discussion points that became common themes throughout the day were the need to integrate health/nutrition priorities into agricultural development, opportunities for the private sector to generate change, move agricultural development priorities from quantity to quality of production and the need to generate gender balances in all areas of agriculture. At the conclusion of Tuesday’s events, I had reached a level of new information saturation and looked forward to spending the evening socializing with my newfound friends. Although I was feeling learning fatigue from the past two days, I was also feeling a sense of disappointment that the conference events were drawing to a close. Hearing from those scholars who are currently engaged in international agricultural research on the last day, brought the topics of the whole event closer to reach and consolidated the advice and possibilities available to me as a student entering into this field. I left Canberra on Wednesday feeling like I had made leaps in my knowledge of research opportunities overseas, agricultural research targeted to development and developed a strong and invaluable network of esteemed researchers. A piece of advice on Day One of the 2017 Crawford Fund Scholar Program was about the benefits of attending conferences on the edge of your research discipline, as well as those more directly related. As a PhD student researching small-scale fisheries in a developing country context, the 2017 Crawford Fund Conference on ‘Transforming Lives and Livelihoods: The Digital Revolution in Agriculture’ was closer to ‘the edge’ of my research area. However, both agriculture and fisheries are part of our food system, and there are certainly similarities and lessons to be shared across these sectors. In addition, many people in developing countries have livelihoods dependent on both agriculture and fisheries. In this sense, a highlight for me was Dr Lindiwe Majele Sibanda’s Sir John Crawford Memorial Address as her key message on the importance of a nutrition-sensitive approach is directly relevant and applicable across our whole food system. With such high levels of food and nutrition insecurity in the world and the growing double burden of malnutrition, it is clear changes must be made regarding how our entire food system operates. Many of the case studies showcased during the Conference demonstrated the value of multi- and trans-disciplinary research. This reinforced the advice given during the Scholar Days on the benefits of being ‘a jack of all trades and a master of one’. Stuart Higgins’ (AgImpact) talk, ‘Do MAD researchers add value for smallholders?’, on using mobile apps for data collection was particularly interesting as I have been considering trying out this method for my PhD data collection. The opportunity to attend the MAD Showcase after the Scholar Day was also valuable. Professor Salah Sukkarieh’s (University of Sydney) talk titled ‘Digital Farmhand – data analytics and robotics for food and nutrition security’ also stood out for the approach his project was taking: engaging with rural schools and adapting technology to be appropriate for a developing country context. Using appropriate digital technology was a key message that came through many of the presentations. However, I thought that the gender and social dimensions of digital technology use could have been explored more, as well as some of the issues relating to maintaining individual privacy while promoting open access data. Finally, I really enjoyed the opportunity to meet and network with a diverse range of people, passionate about research aimed at improving food security and livelihoods across the world. The presence of other students at various stages of their studies, early career researchers, as well as our mentors and other experienced scientists made for interesting conversation, and provided inspiration and motivation to continue working in this field. My one suggestion for future Scholar Days would be to make time for more open discussions and sharing of ideas, opinions and experiences, to complement and allow reflection on presentations by speakers. Overall, I am grateful to the Crawford Fund for providing me with the opportunity to attend the Scholar Days and Conference in Canberra, and I plan to maintain a connection with the Crawford Fund and engage with initiatives such as RAID in the future.